In this blog entry, J. Patrice McSherry, author of Chilean New Song, explains how this music revolutionized Chile’s cultural scene. Can music be a testament to, and record of, a historical period? Can it be a motivating force in the mobilization of people for a common cause? Can music speak to, represent, and translate the dreams and hopes of people for progressive social change? In Chilean New Song, I show how the Chilean New Song movement did all of these things. The music was born in the 1960s, blending traditional Chilean and Latin American folk rhythms, indigenous Andean music, and classical influences with original songwriting, new forms of harmony and chord progressions, and ancient indigenous instruments. Many of the young musicians were talented songwriters and poets, and in Santiago during this epoch there was much interaction, experimentation, and collaboration among them. A major contribution of New Song was the wealth of original music and beautiful poetry produced by the artists. The music of New Song revolutionized Chile’s cultural scene at the same time as large numbers of Chileans were actively engaged in a peaceful political and social revolution. Social sectors long excluded from political participation were demanding, and winning, more social justice and a larger political voice. 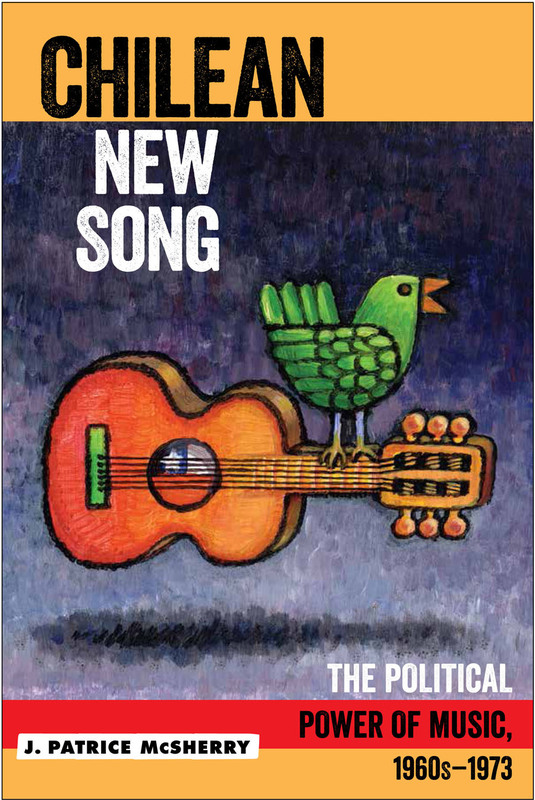 The New Song movement was born of, and expressed, the struggle for the deeper democratization of Chilean state and society. These popular movements, of which New Song was an organic part, converged and grew stronger, and in 1970 succeeded in electing democratic socialist Salvador Allende as president. Violeta Parra, Víctor Jara, Patricio Manns, Ángel and Isabel Parra, Quilapayún, Inti-Illimani, and so many other groups and soloists were well-known and beloved figures of the musical movement, and their songs embodied the ideals and the hopes of millions. As Víctor Jara said in 1973, “It was song that was born from the necessities of the country, the social movement of Chile. It wasn’t song apart from that.” The New Song movement inspired masses of people to visualize alternative possibilities and act to achieve them, helping to create, and not just reflect, the social mobilization of the epoch. The musicians’ singing, their performances on street corners, at festivals and political rallies, at campaign stops, before gatherings of unions and students: all these musical events became part of the political mobilization of the era in Chile. Ángel and Isabel Parra had founded la Peña de los Parra in 1965 as an intimate venue for the new music, which was met with indifference by most major media and industry outlets. Students in universities and popular organizations quickly followed with their own peñas from the north to the south of Chile. Peñas and the new music appeared in schools, community centers, working class neighborhoods, small municipalities, and union locals, moving beyond intellectual circles and into the popular sectors. The peñas were the first innovation from the grassroots that allowed the movement to supersede the blockages of the mass media. The Allende government, committed to reducing social inequalities in the country, instituted new social programs and nationalized large monopolies. The administration faced increasing enmity from the upper classes, industrialists, and the military. The Nixon administration had tried for years to prevent Allende’s election, and then worked to undermine his government. The Chilean armed forces staged a bloody coup on September 11, 1973. Tens of thousands of Chileans were “disappeared” and tortured, some 3000 killed, and hundreds of thousands forced into exile. The dictatorship outlawed the music and even the indigenous instruments associated with New Song. Its acts to silence, exile, torture, and kill the musicians demonstrated the military’s fear of the political power of music. Víctor Jara was one of the regime’s first targets. Jara was taken with thousands of other government supporters to Chile Stadium, where he was tortured and killed. The perpetrators of that crime, which horrified the world, have never been tried or sentenced. Only in the past few years have Chilean judges issued warrants and detained suspected perpetrators. In April 2015, a U.S. judge ruled that one officer, Pedro Barrientos, who has been living in Florida for decades, should stand trial for the torture and extrajudicial killing of Víctor Jara. The artists of the New Song movement, through their music, honored the lives and struggles of ordinary people, communicated their hopes and aspirations, denounced unjust power relations and the stark conditions of the vast majority, and challenged the prevailing system. The 17-year Pinochet dictatorship was unable to erase New Song from the hearts and minds of the people of Chile. Tens of thousands of students—young people not yet born in the 1970s—sang the New Song anthem “El Pueblo Unido” during the massive 2011 marches to demand quality and free public education. New Song is alive still because it continues to express through its stirring and beautiful music the solidarity and determination of social movements, and continues to evoke dreams of a different future. Perhaps most important, it conveys a profound commitment to the lives of el pueblo, the vast number of people who still experience social injustice.